FAA Part 61 | Stratos Jet Charters, Inc.
Part 61 goes hand in hand with Part 91. It deals with the licensing and certifying of a pilot in command or a co-pilot, and it specifically applies to pilots looking to obtain a single, multi, or commercial pilot license. Who Falls Under Part 61 Classification? In order to successfully receive a pilot license of any type, the requirements outlined in Part 61 must be met. It also gives a complete listing of every prerequisite required for obtaining a license. Part 61 does not deal with any aspect of aircrafts. It simply serves as a tool to support potential pilots in obtaining their license. In contrast, Part 91 has a small section dealing with the aircraft associated with the pilot. 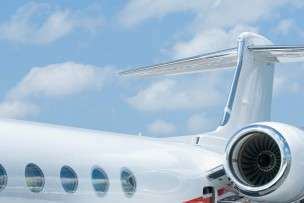 It also deals more with the standards outlined for aircraft companies as well as the aircraft in their position. FAA Part 61 is more focused on a pilot’s performance in the skies. However, At aviation schools, instructors have the ability to run their classes under FAA Part 91 regulations or FAA Part 61 regulations.